For those of you already rinsing your way through Dark Souls 3 and awaiting the next diabolical challenge, you won’t need to wait long. 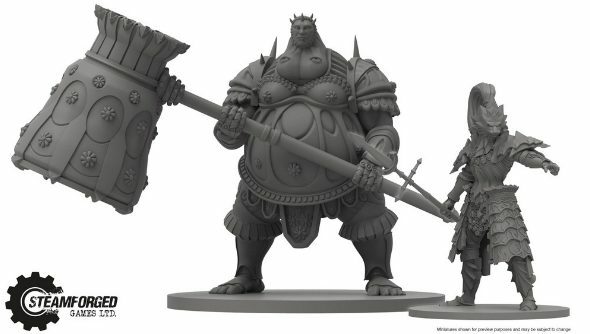 Steamforged Games, acclaimed creators of the fantasy football miniatures game Guild Ball, have announced further details of the Dark Souls board game including an April 19 Kickstarter launch date. Other tidbits from the announcement reveal that settings and enemies will be taken from all Dark Souls games up to the latest, third instalment, with the team deciding which iconic bosses to include. So far, the only confirmed boss is Ornstein and Smough, probably as missing them out would cause an uproar loud enough to wake up the Lords of Cinder. The bosses will be rendered into detailed miniatures for the finished game, and combat is set to be strategic and centred around stamina management for that classic Souls feel. The game itself is focused on exploration and, given the “core game” mentions, could be open to expansion sets if demand is met or exceeded.